I'm in the preliminary stages of buying a new or new-ish SUV. I have a long almost daily commute and much of my driving is on narrow, winding country roads. 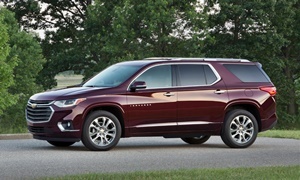 I'd like an SUV that is reliable, quiet, smooth and fuel efficient. I also need something that handles well in bad weather. I've had a Honda CRV and a Toyota Rav4 in the past. Both were nicereliable vehicles, but both were rather nosiy and uncomfortable. There's a lot to pick from in the small SUVsegment. Any advice on narrowing down my choices? 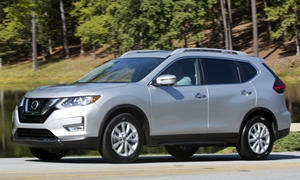 So a couple of obvious choices are the Rav4 hybrid and Mazda CX-5 both have good mpg but both lack in ride smoothness. 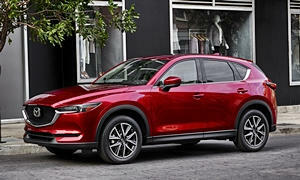 I'd check out the CX-5 if the ride and noise level work for you it's a great car. 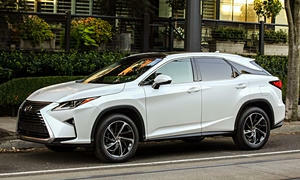 If you can afford to go a little older I'd look at a Lexus RX. A 2013 450h can be had for around $30,000 and get upto 32mpg (FWD) or 28mpg (AWD). A none hybrid you could get at 2015 in budget. Being a Lexus these are very reliable and smooth - they aren't a sport car! Nissan are about to launch the Rogue Sport - not sure if it would meet you wants but worth checking out. First off, let me apologize for the grammar and edits. I am doing this on my phone and am terrible at texting. However, I have owned a numbers of suvs and came away unimpressed with some of them, the rav4 included. 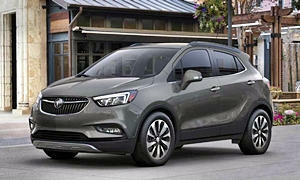 A small Suv that really catches my attention is the Buick encore which has experienced a rising owner satisfaction and continued tech improvements over the last few years. It is reasonably priced and contains many of, if not most, of the technology of the upper level models of the Buick line. It is very well appointed and carries the whisper tech that truly makes a for a quiet ride. Fuel economy is very good although it's not a quick car. You might check out my blog on a number of cars I have owned. There is no connection to dealers, or Auto makers, and I don't make any money off of the site. I've owned a 2011 Subaru Outback since new. After 55K miles, no problems. Great in all types of weather, plus has sufficient space for hauling stuff. Fairly comfortable (cloth seats), which are quite good on long trips (I routinely take 500+ mile round to visit family approx. 10 times per year). Regular gas mileage around town is approx 23 mpg, while highway mpg is 30+. The only downside for me is the poor quality of the paint and the (too) thin metalwork. From my experience, the vehicle suffers dents too easily, the exterior rubber is hard to keep fresh-looking (black color easily fades) and the paint is very thin and easily scratched. They shake their heads "no" on the Fords Gm & Chevys. Mention SUbaru and they smile and say "head gasket every 75,000 miles - only $2000." If you are driving in the north with snow...well even the Parts & Service Manager at the Toyota dealer did not have anything good to say about hybrids in the snow ....comments were along the lines of the "@#$!hybrid can't get itself out of 4 inches of snow"
Keep in mind that thetaller the vehicle, the higher the center of gravity and the higher the cetner of gravity, the more likely they are to not be good on narrow winding roads and the more likely they are to turn off if they slide off the road. Funny thing about people's opinions about cars. Everybody has one. You're correct. 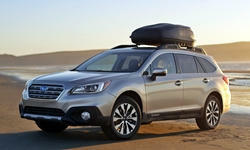 Head gasket failure is mentioned regarding the Subaru 4 cylinder engines. However, based on my personal experience, and that of my family and friends, none of us have actually experienced this, nor any other major issue with these vehicles. One of my son's lives in Massachuesttes, in an area that can have snow from early October through the end of April. Around there, a lot of people who prefer a car-like vehicle, drive a Subaru or an Audi. 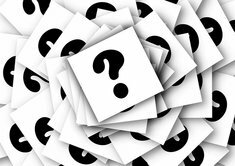 As I research the purchase of a new vehicle myself, for whatever vehicle I investigate, I've found that the Internet is full of poor quality claims (oil comsumption, brake wear, transmission, electrical, suspension, etc issues). At the end of the day, at least for me, after I've done my research on the Internet, while helpful, I look to family and friends to see what their experience has actually been. Also, particularly for a vehicle purchase, I take a very serious look at the dealer's business practices and the capability of their repair shop (all vehicles, at some point, will have a problem). Once the vehicle is purchase, it's been my experience that the quality of the relationship you have with the dealer is of utmost importance, particularly is a problem is encountered that requires their assistance in working with the manufacturer. PS: My neighbor traded in her BMW 3 series for a Mazda 3. She loves the reliability and gas mileage, and lower cost of ownership, but misses the power and sportyness. Every decision has tradeoffs. Data trumps opinions every single time. (c) and my personal favorite, some chip malfunctions while the car is going down the road and turns off the steering. According to the recall notice SUbaru said that having the steering turn off "might" cause an accident. The history of SUbaru is one of great little wagons - before 2009. Since 2009, it has been one thing after another. * and you lease it rather than buying and keeping it. SUbaru owners are a lot like Priu owners - a bit of a cult thing going on. In a Subaru forum i came across, they thought it jsut wonderful that their few-months-old cars were being recalled becasue the steering could be turned off without warning. Were cooing on about how wonderful SUbaru was in being 'Proactive" ....... Uh huh.... How about TEST the @#$%! stuff BEFORE you shove it out on the market? I'd 2nd the choice for the most quietest, fuel efficent , AWD available in the Encore or Envision. Our 2013 Encore would see 39 mpg @ 60 mph...with AWD. This economy is not matched by any other gasoline engine cuv with AWD. Our new Envision Premium 2.0T is proving very efficent too. My mixed commute is right at 23-24 mpg with the new stop/start technology. Highway on 20 minute trips is 30+ mpg and climbing as we have not driven on any longer trips yet. The 2016 Buick Envision Premium l fits your wants and needs exactly. The Hyperstrut front suspension gives the steering inputs a nice and direct response and great for avoiding potholes or road debris. The torque vectoring AWD with the new Twinster dual clutch allow one wheel with traction to propel the cuv while the other wheels slip. 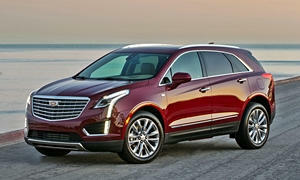 It is truly state of the art and usually only offered on $50,000+ cuvs/suvs. 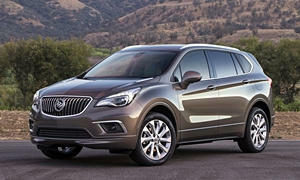 The ride quality is one of the greatest merits to all Buick's and the Envision is not over looked. The Quiet Tuning technology along with Active Noise Control make it one of the most quietest cuvs in the segment. And the low mileage, used 2016 prices are just under $30,000. I cannot recommend Subaru unless you have a warranty or a good mechanic friend based on our 2012 Forester oil consumption problems. Ours was nothing special so when I met my soon to be wife with Buick Encore it was just like the Buick TV commercial, "nice".